New Chrysler, Jeep, Dodge, and RAM vehicles, like the RAM 1500 and the Jeep Renegade, come equipped with a variety of modern automotive technology features, including the Uconnect 8.4. 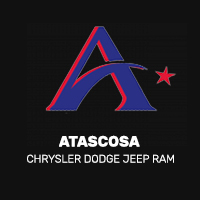 This award-winning system provides advanced connectivity, navigation, and entertainment to make your drive through Floresville safer and more fun. SiriusXMGaurdianTM: This service is available on select vehicles and keeps you connected to your vehicle wherever you are. Use Vehicle Finder to locate your car, truck, or SUV if you forgot where you parked in Poteet, and if your vehicle gets stolen, don’t worry! Stolen Vehicle Assistance can help you find it. Uconnect App: Download this Uconnect® app on your smartphone to stay connected to your Chrysler, Jeep, Dodge, or RAM vehicle. You can start your engine, unlock the doors, and look up directions and send them to the Uconnect touchscreen with Send & Go. Connectivity: Uconnect 8.4 keeps you connected on the road with hands-free calling. To stream audio via Bluetooth or ask Siri a question without taking your hands off the wheel, you can use voice command. This system also connects to Apple CarPlay and Android Auto. WiFi: If you register for Uconnect Access, you can purchase an unlimited data subscription and gain access to WiFi through the Uconnect 8.4 system. This comes in handy if you need to get some work done on the road or want browse the internet or your social media. It’s also to have so your kids can stream a movie or TV show on a roadtrip. If you want to learn more about Uconnect 8.4 and find out which CDJR vehicles have it available, contact us online or visit our showroom Pleasanton. 0 comment(s) so far on What is Uconnect 8.4?